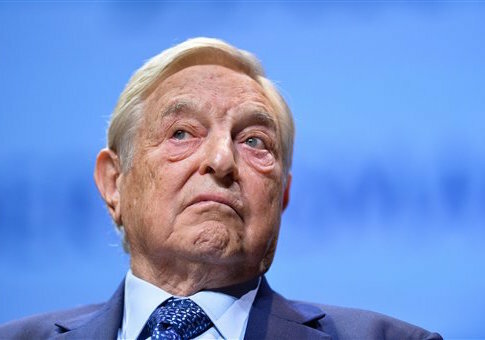 Liberal billionaire George Soros added a $2.5 million donation to a pro-Clinton super PAC in August, according to filings released by the Federal Election Commission. Soros gave the $2.5 million donation on Aug. 31 to Priorities USA Action, a super PAC that backs Hillary Clinton’s bid for the presidency. Priorities amassed $88 million in total contributions throughout 2016 to date, the filings show. Soros gave $7 million to Priorities this election cycle before this contribution. Other major donors to Priorities in August include Daniel Abraham, the owner of Slim Fast, who gave $3,000,000 to the PAC. Fred Eychaner, the owner of Newsweb Corporation, also cut a $3,000,000 check to the super PAC. In April, it was reported that a majority of the money pouring into pro-Clinton super PACs were coming from a small number of wealthy individuals. Just 22 people combined to provide $43 million to Priorities USA, American Bridge 21st Century, and Correct the Record–an amount that totaled about 62 percent of all contributions that had gone to the three super PACs at the time, InsideGov found. This entry was posted in Politics and tagged Democratic Donors, FEC, George Soros, Hillary Clinton, Priorities USA, Super PACs. Bookmark the permalink.